Magnificent villa with 3 bedrooms, 4 bathrooms, fully equipped kitchen, large living room, tea room, games room ( billiard table, darts and treadmill ) , with plenty of natural light and superb views over the bay of the city, spacious garden with lots of places where you can to eat outdoor and make lovley barbecues , located two minutes by car to downtown Funchal and the village of Monte, very quiet area with excellent views and sun exposure. Area well served by public transport and all amenities. The views from property are amazing, and the property is nice, however the shower in the main bathroom has a leak and floods the bathroom floor, we reported this to the management company, who did respond promptly, but advised that they were aware of the problem. we were disappointed that they not told us! We were also not given clear instructions on how to enter property, which is behind the barrier, there is also no information pack about the property or the local area. Thank you for comments, actions will be taken we needed. The shower is being replaced at the moment and it could only be done when property was vacant. Regarding information on the property and area, normally most of it is on the advert or is sent via email as we fill it is more efficient and guests prefer this way. The property has a small drive way and gate, all guests are provided with a set of keys and a remote control for the gate. Leider geben die Fotos nicht wieder wie groß dieses Haus im inneren und außen ist. Hinter einem Tor was per Fernbedienung geöffnet werden kann befindet sich ein Stellplatz für ein PKW und der Zugang zum alarmgesicherten Haus. An den Flur schließen die drei Schlafzimmer mit jeweils separatem Balkon mit Blick auf den Hafen an. In diesem Stockwerk sind auch zwei Badezimmer wovon eines ensuite ist. Über eine Treppe gelangt man in das Untergeschoss wo das riesige Wohnzimmer mit Essecke sich befindet. Von dort gibt es einen direkten Zugang in den Wintergarten und auch zur Küche die einen separaten Sitzbereich hat. Durch vier Türen kann man das Aussengelände erreichen. Besonders Wohlgefühlt haben wir uns auf der überdachten Terrasse inklusive Outdoorküche (Gasherd, Spülbecken und Grill) und großem Tisch. Es gibt auch eine separate Toilette im Aussenbereich und einen Raum mit Billiardtisch und Laufband. Das Haus war sehr sauber und die Einrichtung von hoher Qualität. Die Küche ist perfekt ausgestattet und es fehlte uns an nichts. Eine kleine Herausforderung war die Zufahrt zu machen Haus da sie sehr steil ist, aber nach zwei Tagen war auch das kein Problem mehr. Der Kontakt zur Ferienhausvermittlung war problemlos per Mail und am Flughafen erwartete uns ein Mitarbeiter mit den Schlüsseln. Wir können dieses Haus nur empfehlen und würden immer wieder kommen. L'accès est relativement aisé. Ne pas avoir une voiture trop longue (megane SW rentre juste). Les pièces sont belles et l'extérieur attrayant. 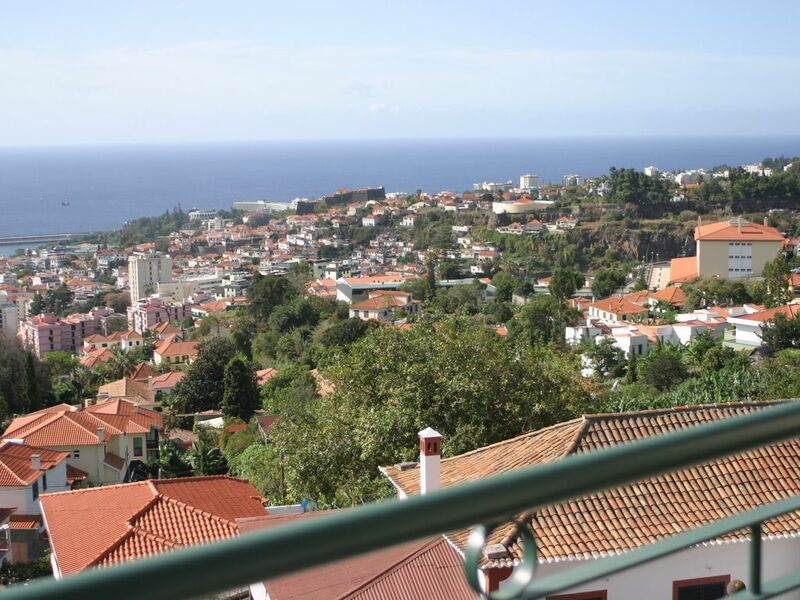 La vue sur Funchal est magnifique. Toutes les pièces sont propres mais un problème d'humidité est présent avec de la buée sur les vitres le matin(VMC inexistante). Le ballon d'eau chaude de 100 litres est insuffisant pour une location pouvant accepter 6 personnes. De plus 3 salles d'eau nécessite plus d'eau chaude. Le bac de douche de l'étage fuit et ce problème, connu, ne semble pas être réparé de sitôt. L'agence AYS a toujours été réactive pour répondre aux questions et tenter de résoudre les problèmes au plus vite lorsqu'ils sont de sa responsabilité. Un livret d'accueil donnant des informations sur les alentours directs (bus, jour de ramassage des ordures, marché à proximité....) serait un plus non négligeable. W hope you will visit us again sometime in the future. Das Haus ist sehr geräumig, insbesondere, dass 3 Bäder vorhanden sind, kommt den Gästen sehr zu gute, ebenso wie die komplett eingerichtete und gut ausgestattete Küche.Von allen Zimmern aus Blick aufs Meer. The climate is mild throughout the year, with average temperatures between 15ºC and 25ºC.One of the most important architectural monuments of this parish is the Church of the Imaculado Coração de Maria. This parish is the way to other places in the mountains, the same interest as the Monte Terreiro da Luta, Poiso and Pico do Areeiro. These places are excellent choices for those who want to stroll among flower gardens. Looking for a place to have a picnic, you can choose the Terreiro da Luta or Poiso. For the more adventurous, walk the walk on an adventure to discover the flora and fauna of Madeira, between the two highest peaks of the island, Pico do Areeiro and Pico Ruivo.